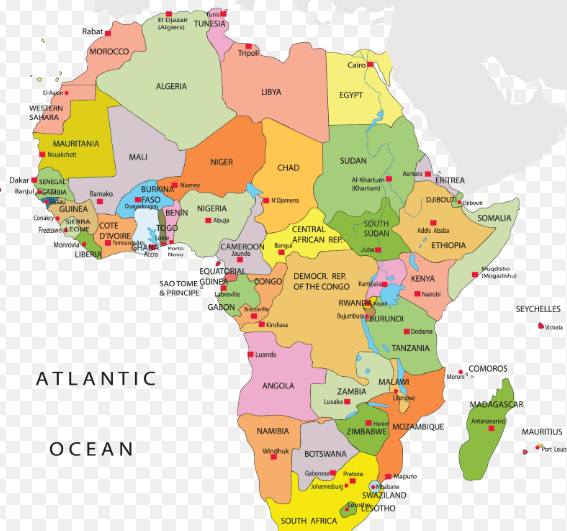 Is Africa rising? Will the current economic boom in some countries reduce poverty levels? Ewout Frankema and Marlous van Waijenburg draw attention to the opportunities and pitfalls of Africa’s demographic boom and current transitions to export-led industrialization. Sub-Saharan Africa’s population is expected to grow from about 1 billion people today to almost 4 billion people by the end of the 21st century. As a result, the continent is expected to host over one-third of total world population by 2100. This dramatic shift in the locus of human and economic reproduction towards Africa creates both challenges and provides new opportunities for development. One of the most pressing concerns will be the reduction of African poverty rates in the context of growing numbers of underemployed urban youth. In our recent article Africa Rising? A Historical Perspective we scrutinize growing hopes and expectations that Africa is about to embark on a path of labour-intensive export-led growth and that this will alleviate poverty in the region at a more rapid pace. With abundant global capital in search of profitable investment opportunities, ICT-driven diffusion of knowledge, and expanding pools of educated urbanites ready to take up factory jobs, the conditions for rapid industrialization certainly seem better than ever before. But how likely is it that Africa will become the new ‘workshop of the world’ in the coming decades? Our article approaches this question from a historical perspective. Through a comparative analysis of historical industrialization processes in Britain and Japan, we point to three critical issues that temper expectations of a quick export-led manufacturing escape from poverty. First, we show that Japan’s competitive advantage in global markets – cotton textile markets in particular – around 1900 was rooted in a labour cost gap of 1 (Japan) to 8 (Britain). Comparing present-day minimum wages in Africa to those in large parts of South and (South) East Asia, including the world’s current manufacturing giant (China), we find a much smaller gap; one of 1:3 at the most. This implies a smaller window for wage cost competition by African firms. Second, we show that both under Britain’s capital-intensive and Japan’s labour-intensive path to industrialization, it took at least half a century before the welfare gains of industrial expansion were felt by lower income groups. Third, we highlight how the early industrializers’ growing geo-political power aided their ascendance in global manufacturing markets, allowing them to forge new markets through formal and informal empire building and to release part of their labour surpluses through emigration. African countries today are not in a position to play such power games. Given that African countries today are operating in a different economic and political world order, we remain sceptic about the chances that Africa will quickly turn into the world’s next “manufacturing giant”. In our view, a more viable path to poverty alleviation could lie in the rapidly expanding domestic consumer markets, especially when African governments would enhance this process by removing internal trade barriers and making strategic investments in local market integration. Such an alternative, more inward-oriented economic development path begs the question what policies to focus on. We will highlight a few that would support such a development trajectory at the local, the national, and the global level. At the local level, it will be key to ensure equal access to markets and capital for the brightest and most entrepreneurial people in town. This can be done by lowering barriers to education, by securing property rights in land, by investing in teachers, and by professionalizing local bureaucracies. This will not necessarily be easy, as it may disrupt vested interests. However, a greater degree of transparency and accountability in local governing bodies can partly be enforced by central governments, as evidenced by the political reforms in post-genocide Rwanda. At the national level economic policies should focus on removing barriers to trade, on improving access to financial services, and on strategic infrastructural investments. Local market integration is crucial for manufacturing firms reaping economies of scale, and for the promotion of local production of goods with strong linkages to other parts of the economy, or goods that benefit from natural protection due to high freight costs. Such goods include processed food, beer, beverages, construction materials, furniture, ceramics, basic chemicals, as well as a number of services (insurance, banking, hospitality, retail, wholesale etc.). Instead of investing in infrastructure to facilitate international trade, African governments should focus on connecting urban centers within and across Africa’s national borders. Although this will partly be out of the control of African governments, policy approaches will also require reconsideration at the global level. The integration of domestic markets will likely need serious renegotiation of the conditions for FDI from non-African partners. In the current conditions, where many governments cannot be held accountable for mega-deals with foreign companies or governments, the terms of investment are mainly set by investors. African governments should take a closer look at the conditionality of FDI in China in the past decades: foreign companies are welcome as long as they team up with local enterprise, create jobs for local workers and use inputs from local sources. In an ideal world, Africa’s main economic partners would allow the adoption of targeted Import Substitution Industrialisation (ISI) policies, which aid infant manufacturing industries with a smart – i.e. temporal and incentive-adjusted – combination of subsidies, protective tariffs, and regulatory means. Such a policy stance would reflect greater recognition that industrial growth in Africa is complicated by large parts of Asia only just having gained prominence in global manufacturing markets, and that competing on the basis of a “wage cost race” to the bottom is unlikely to reduce poverty in Africa. 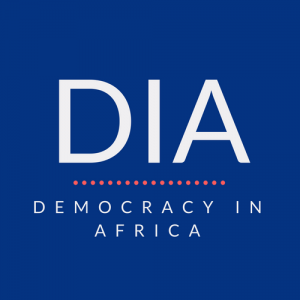 If the international community of development agencies want to help the African poor, they should place a discussion of a 21st century style-ISI on their policy agenda, as a serious alternative to sustained development assistance and renewed debt creation. Ewout Frankema is a Professor and Chair of Rural and Environmental History at Wageningen University, Netherlands. Marlous van Waijenburg is an Assistant Professor of Economics at the University of Michigan, U.S.